Workers in the state of Nevada have certain rights, and one of the rights is the right to work in a workplace that is free from harassment and sexual harassment. Unfortunately, sexual harassment throughout many Nevada workplaces, creating hostile work environments and employee rights issues. At the office of H1 Law Group, a sexual harassment attorney in Las Vegas from our law office can help you to understand state and federal sexual harassment and protection laws, as well as your legal options when you’ve been affected at work. If you are the target of sexual harassment in your workplace, contact us today for your free consultation and read more below about what you can do to take the right steps today. Any verbal or physical conduct that is sexual in nature and, when submitted to or rejected, directly has an effect on the affected individual’s employment (i.e. quid pro quo) and/or creates a hostile or offensive environment in which to work. It is important to note that in order for the behavior to constitute sexual harassment, the offender’s behavior must be unwelcome by the victim. Report the harassment to a supervisor or manager. The first thing that you should do is to file an official incident report (and request a copy of the report) with your HR department, supervisor, or manager. If doing this is impossible (i.e. the person harassing you is the HR director) or this does not result in an immediate resolution, consider step two. Contact the Nevada Equal Rights Commission. You maintain the right to file a complaint in regards to sexual harassment with the commision, who will investigate the complaint on your behalf. Note that if you are notifying the commision of the harassment, you must do so within 300 days of the alleged event(s). Document everything. Prior to, during, and after filing your complaint, it is critical that you keep through documentation about any events involving the harasser. Note dates, times, locations, witnesses, language or sexual behavior involved, and any other important details. If you have been sexually harassed at work, do not hesitate to exercise your right to take action and secure legal counsel. At the office of H1 Law Group, a Las Vegas sexual harassment attorney from our firm is ready to sit down with you to discuss your case today, and help you to understand your right to legal remedy. Reach us by phone or online now to schedule your free case review and start the process of protecting yourself from unwanted sexual harassment in the workplace. An attorney at our firm can evaluate your situation and discuss the value of your case. We want to help you get all of the compensation you deserve. 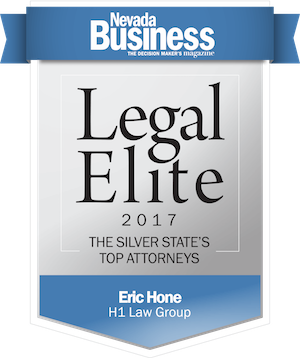 H1 Law Group is a sophisticated litigation firm with a strong dedication to client advocacy and cost efficiency. 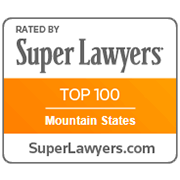 Our attorneys are known for delivering outstanding service and commitment to our clients. 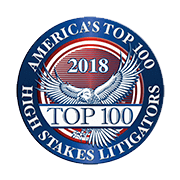 We are regularly called upon to handle our clients’ most difficult and challenging litigation issues.